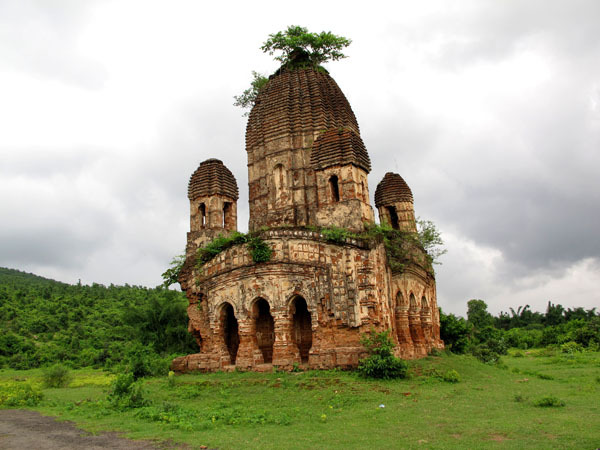 Purulia is the westernmost district of West Bengal and is part of the Chhotanagpur Plateau. It is bordered by the districts of Bardhaman, Bankura, Paschim (West) Medinipur districts, and the state of Jharkand. The Jaina Bhagavati Sutra of the 5th century CE mentions Purulia as one of the sixteen Mahajanapadas and a part of the country known as Vajra-bhumi in ancient times. During the medieval period, this territory was regarded as part of the Jharkhand region. Little is known about Purulia before the British East India Company acquired it in 1765. 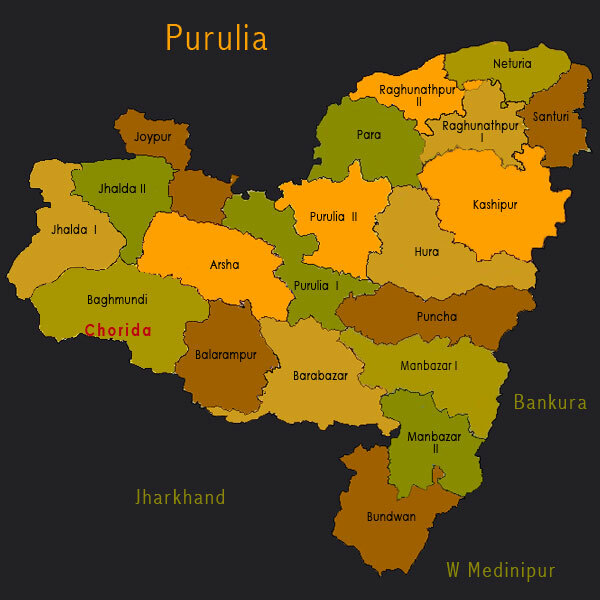 The present Purulia district was formed on November 1, 1956 when the Manbhum district was apportioned between Bihar and West Bengal under the States Reorganisation Act. The district headquarters are at Purulia town. The landscape of Purulia is rocky and undulating. Characterised by hills, narrow rivers and isolated patches of forest, the climate is rough – with severe summers and winters. The important rivers of the region are Kangsabati, Kumari, Dwarkeswar, Subarnarekha and Damodar. Saheb-Bandh, a popular water body, located in the heart of the Purulia town, is a shelter of migratory birds that come from all parts of the sub-continent. Due to its rocky soil Purulia lags behind other districts in West Bengal in agriculture. Though paddy is the primary crop, silk and lac are are also cultivated here. The tourism of Purulia centres round its hills, forests as well as its archaeological excavations and the relics of ancient buildings and temples. Tribal ethos enriches the charm and natural beauty of this land of red soil. Replete with natural beauty, Purulia’s lush green landscape, its dense forests, hillocks, rivulets, streams, wild life, flora and fauna make it a perfect tourist destination. A major tourist attraction and for rock climbing enthusiasts in particular, is the Ayodhya Hills which stand at 700 metres above sea-level. An extension of the Dalma Hills of Jharkhand, it is an extremely picturesque getaway full of pristine fresh water springs and streams. The rugged terrain makes it an ideal destination for rock-climbing and trekking. Other important tourist destinations are the Matha and Murguma dams and Kuilapal forests, Duarsini hills and forests, Joy Chandi Pahar and Garh Panchkot, the seat of the Panchkot Raj during the 18th century. Except for a few urban centres like Purulia Town, Adra and Raghunathpur, the rest of the district is economically backward. According to 2011 Census the total population of the district is 2,927,965 of which 87.25% live in rural areas. While the Kurmi-Mahato community, is a dominant social group in the district, there is a sizeable tribal population in Purulia. Patches of dense deciduous forest (in the Jangal Mahal region) are home to different tribal groups like Santals (the largest group), Bhumij, Mundas, Kheria-Sabars, Ho, Bedia and Birhor to name a few. Song and dance are an intrinsic part in the lives of the tribal people. Some of these tribes have retained their distinct traditional identities and religious and cultural practices. The local dialect of Bengali, Hindi and the various tribal languages are the principal means of communication in the region. 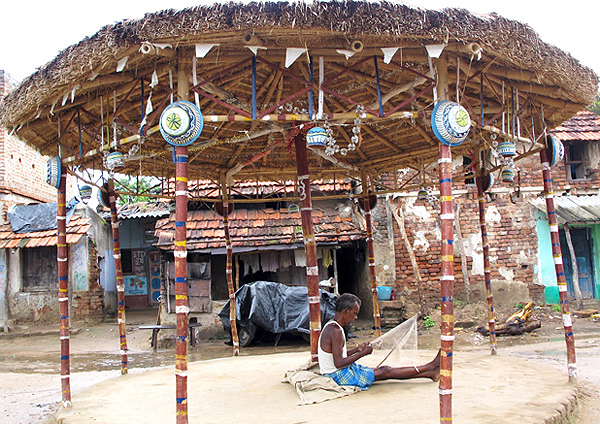 The cultural diversity of Purulia is reflected in its folk art forms and festivals. The renowned Chho dance which is practised in three distinct styles in the regions of Seraikella (Jharkhand), Purulia (West Bengal) and Mayurbhanj (Odisha) was included in the Performing Arts category of UNESCO’s list of Intangible Cultural Heritage in 2010. Chho masks made in Chorida village in Baghmundi block are internationally in demand as a collectors’ item. Purulia is also home to a lesser known folk dance form that is martial in character – Natua. The performing arts of the tribals are primarily related to their festivals like the Sohrai and Baha (of the Santals) while ritual songs like Bhadu and Tusu songs, associated with specific festivals of the same name, continue to be popular among the rural women belonging to indigenous castes. Jhumur, a centuries old folk song tradition, is intrinsic to the region.